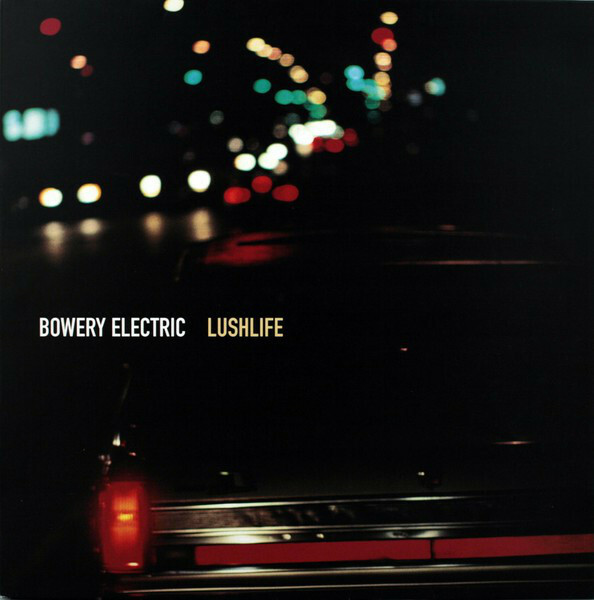 Brainwashed - Bowery Electric, "Lushlife"
As someone who already reviewed Bowery Electric's third album 19 years ago, I can't discuss it now without recognizing the importance of their second album and the differences in the world where each existed. Whereas Beat was very much the right record at the right time, Lushlife, in hindsight, feels like the wrong record at the wrong time. What made the world listen to Beat was its seemingly effortless mastery of sound, structure, and songcraft. The group didn't follow a particular formula between tracks and it never felt as if they were obliged to reach for a hit single. Released originally in late 1996 on Kranky in the USA, it grabbed the attention of Beggars Banquet for a release in Europe followed by two remix 12" singles, a remix album, and worldwide distribution to the follow-up. While they may have not explicitly been tasked with the duty of creating a pop-breakthrough, Lushlife feels at times like Bowery Electric are aiming for it. The songs were certainly more consciously composed, lyrically dense, and the sounds on the whole were much more vibrant and stunning than previously. Martha's vocals are more pronounced and confident, the bass riffs are a thunderous force, the guitars are sublime, and the strings are gorgeous. The dominating backbone of the record is the hip-hop beats, which eventually becomes its weakness. The socioeconomic climate of 1996 and 1997 was exceptionally beneficial for innovative arts and entertainment as the dot com boom was fueling both economic growth and increased worldwide connectivity. This was perfect for musicians who weren't able to find a voice through typical mainstream media or distribution through established channels, which were stubborn at the time to adapt. Morale was on the upswing, young people were optimistic, and independent music was reaching more listeners in more remote places. Post-rock was a recognized movement (or non-movement), divisions between styles were blurring, music festivals became more diverse, and listeners tastes were expanding. 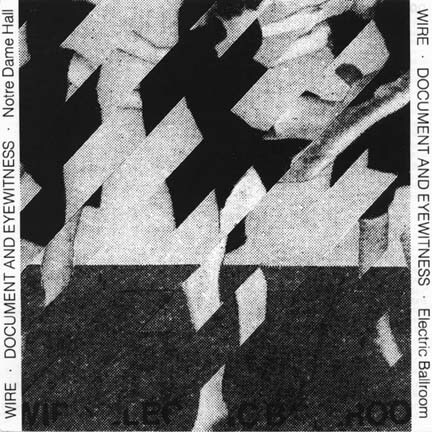 Beat was championed in the independent music press, Bowery Electric toured extensively, recorded a Peel Session, and, in the wake of the success, Martha Schwendener and Lawrence Chandler built a studio in Brooklyn and began work on Lushlife. The first half—or side one of the record—is remarkably dark for an opening, with songs like "Floating World," the title track, the creepy "Psalms of Survival," and instrumental side closer "Soul City," all of which are mid-paced, sonically rich, and set in minor keys. Much like the cover suggests, it is like a breathtaking soundtrack to a lonely journey through a well-lit but empty city in the wee hours of the night. The second half—or side two—is where the album loses me, however. Here is where the beats become distractive. After over three years from release of Beat, I wasn't ready to hear the overused "Funky Drummer" sample throughout "Saved" or the Eric B & Rakim loop (the one which made up every Milli Vanilli hit single along with countless others) on the closer "Passages." "Freedom Fighter," the album's single, used Jay-Z's beats, samples from Kraftwerk, and guitar from Nick Drake, who was widely played at the time, thanks to the popularity of the VW commercial (he sold more records in 1999 in the weeks following that commercial's debut than he did in his entire lifetime). It is worth noting this was no intention of the group to capitalize on this, as the album was complete before the commercial aired yet came out in the wake of its popularity. Unfortunately, the timing wasn't working in the group's favor, as the album was released on February 28th of 2000, less than 2 weeks before the stock market crash on March 11th. While it may seem unrelated to the success of this album, the ripple effects couldn't be ignored. The crash brought the dot com boom to a screeching halt. Morale began on a downtrend and so did incomes: less money was floating around for arts and entertainment. The music industry was exceptionally vulnerable: as technology and connectivity continued to advance, the popularity of filesharing increased, and the major label industry lashed out at consumers. Stuck in the middle were the independent labels and stores which began to suffer, and within a very short while, the major record store chain, as we knew it, was extinct. After a European and South American tour, the duo returned to the US for a few performances but soon called it quits. Lushlife is a good record but it doesn't make a lot of lists two decades later. I have listened to the record so many times in the last 20 years that writing about it is difficult, as my mind has changed so many times about the record. It still has fantastic songs which have stood up very well but I find my attention wandering halfway in. Plenty of care went into the reissue and the result is quite pleasing. The clarity and range of the sounds on the record are fantastic and the packaging is very faithful to the original UK-only LP. Furthermore, it is also now available at a reasonable price and no longer "collector prices." I would personally love to hear a version of the album stripped of side B's hip-hop samples or to hear the demos surface but am no longer holding my breath after all this time.